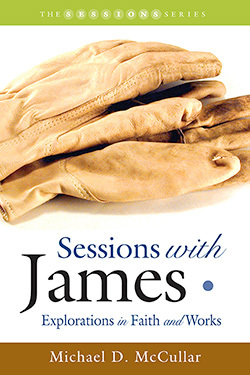 Sessions with James is an eleven-session study unit designed to give the learner a full understanding of the book of James. Each session is followed with a resource page of 8-10 questions. These resource pages allow for a deeper experience in the book of James and can be used by a seminar leader during preparation and planning as well as for individual Bible study. Is This a Multiple-Choice Test? You Have Two Ears but Only One Mouth…Ever Wonder Why? Baptized Nouns or Baptized Verbs? How’s the Ol’ Future View? Excuse Me, Sir, Have You Seen My Heart?